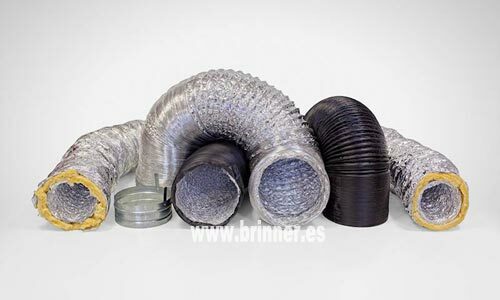 We have a large stock of flexible ducts for immediate delivery, in different models and from 102 to 406 mm in diameter. We also have the necessary material for its assembly: graft for circular duct, flat graft for rectangular duct, 3-leg collar for fiber conduit, aluminum tape and nylon flanges. 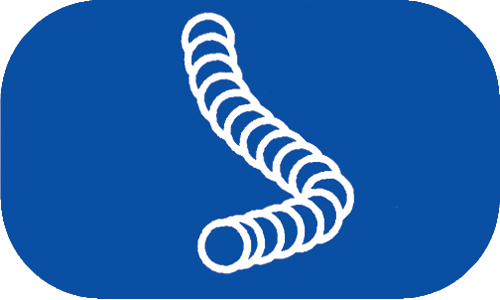 SPIRAL FLEX: Very flexible tube, made of aluminum and polyester, with spiral steel reinforcement. HEAT FLEX: Flexible hose, with 25 mm of thermal insulation. The interior is made of aluminum with spiral steel reinforcement. COMBI FLEX: The interior is made of aluminum with spiral steel reinforcement. The exterior is made of polyethylene. SEMIFLEX: Semi-flexible tube made with 0.9 mm aluminum band. Thickness coiled helically.